With the global technological revolution, huge amount of virgin data is being churned out every second. Big data is the term that is being used to describe this collection of complex and unrestricted data sets that is difficult to store and analyse. Among this vast array of data that is generated only a limited amount is useful. To sieve through the big data sets many software suits are available in the market but Hadoop has emerged as the clear winner and the industry favourite. To cash in on the trend enrol in a Hadoop online training. 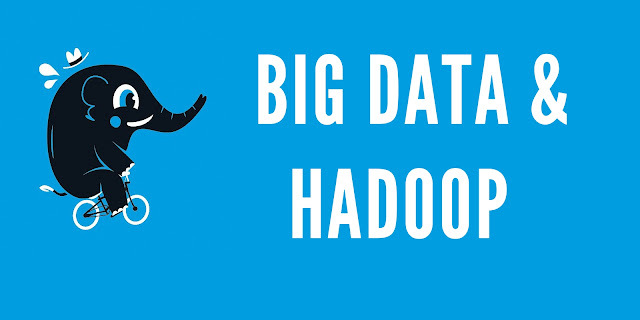 Hadoop is open source software under the proprietorship of Apache Software Foundation. Hadoop has been designed to store enormous amount of data sets across distributed clusters of servers and running analysis in respective clusters. It is extremely flexible and efficient in its usage. Distributed file system for storage. The various tools found under the Hadoop software are HDFS, MapReduce, Hbase, Hive, Pig, Yarn, Oozie, Flume and Sqoop. Data exploration with full data sets. Helps in large scale pre-processing of raw data. For these above reasons not only the IT industry but even other industries like retail, social media, aviation, tourism and finance domains are largely dependent on Hadoop for storing and analysing the colossal amount of data churned out. Forbes magazine in a recently conducted survey has shown that the Hadoop industry is set to grow to 100 billion US dollars by 2022. There is going to be huge paucity of skilled big data analysts having Hadoop skills (estimated around 1.5 million by 2020). So it is a lucrative skill to learn, thus join one of the many Hadoop online training courses available. The way big data was handled changed dramatically with HDFS or HadoopDistributed File System, it is built in servers of namenode and datanode along with the usual huge storage capacity of data sets. If you are enrolling for Hadoop online training make sure you do not miss out on HDFS. Since the advent of Spark, MapReduce has become somewhat archaic but still heavily in use and also the cornerstone of Hadoop domain and hence the basic knowledge is essential, as it will help you while working with the newer tools as well. In contemporary usage, MapReducehas gained popularity because of its easily writing applications that processes multi tetrabyte data sets simultaneously in large clusters in reliable and protected manner. So with the demand for skilled Hadoop workers increasing, it will be an intelligent move to enrol for Hadoop online training courses. Select the one that matches the industry requirements and teaches you how to work your way through the various tools. Employment is available in various industries and you will not be left without any job. Going with Online Hadoop Training is the ideal option for students. If you are looking to learn derivatives you should consider Futures first Academy.